Christie Hedman has been Executive Director of WDA since 1989 when she was the sole part-time employee and WDA’s membership was about 650 members. Since that time WDA has more than doubled its membership and the staff has increased ten-fold. Over the years, she has represented public defender interests on numerous committees and workgroups, including the Washington State Law and Justice Advisory Council, the Washington State Byrne Grant Committee, and is a standing member of the Washington State Bar Association’s Council on Public Defense. She is a recipient of the Mothers for Police Accountability Paul Robeson Peace and Justice Award and recently stepped down from the TeamChild Board of which she was a founding member. Nationally, she has served on the Executive Committee of the American Council of Chief Defenders and is active in the National Legal Aid and Defender Association, the National Criminal Justice Association, the National Association of Public Defenders, and is a member of the National Association of Criminal Defense Lawyers. Her sons were refugee foster children from South Sudan and she enjoys spending time with her eight grandchildren. Cindy has worked in public defense for over 20 years and has a varied background, having worked with all types of cases, from low-level crimes to aggravated murder. She has experience with collaborative courts and mental competency hearings, and is death penalty certified. 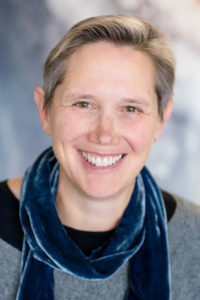 She worked at the Associated Counsel for the Accused in Seattle for more than 14 years before joining the Washington Defender Association in 2009 as the Felony Resource Attorney, where she spends the majority of her time providing technical assistance to attorneys and developing resources for public defenders across the state. Cindy is a frequent speaker at CLE presentations and takes a special interest in the issues involved when representing clients with mental illness. She received her J.D. from the University of Washington. Magda graduated from UW Law School and has been a public defender her entire career. She has worked in both trial and appellate offices. She specializes in practice issues relating to DWLS, DUI and the exclusionary rule. She is available to help you with all of your questions relating to misdemeanor cases. Hillary Behrman joined the Washington Defender Association as our Director of Legal Services in the fall of 2017. Hillary brings passion, experience and commitment to further WDA’s mission to support high quality public defense and advocate for systemic change that brings about just solutions. Hillary comes to WDA after many years as the Legal Director of TeamChild. TeamChild is a nationally acclaimed program that provides civil legal services to youth involved in the juvenile justice system and works closely with public defenders and policy makers throughout the state. Hillary worked for more than a decade as a public defender and felony investigator in King County. Hillary also spent several years as WDA’s Juvenile Offender and Youth in Adult Court Resource Attorney. Hillary is an experienced educator who has conducted trainings locally and nationally on a wide range of issues related to indigent defense and civil legal services. Hillary has served as an adjunct faculty member at the University of Washington School of Law teaching juvenile justice policy. She received her J.D from Georgetown University School of Law where she was a Public Interest Law Scholar. Hillary is thrilled to be a part of WDA’s powerful team of legal experts, skilled trainers and effective policy advocates. Annie has collaborated with a wide array of colleagues, clients, communities, pubic officials, friends and mentors to win individual justice, bring about systemic legal and policy reforms, and build movements for social change. She has litigated cases at all levels of state and federal court; taught at the University of Washington’s School of Law; and served on the board of numerous local, regional and national organizations, including OneAmerica, the National Immigration Project of the National Lawyers Guild, and the National Network to End Violence Against Immigrant Women. She currently serves on Washington State’s Minority and Justice Commission. Annie has been honored for her leadership as the recipient of the Lexus/Nexus Danial Levy Memorial Award for Outstanding Achievement in Immigration Law, the Friend of the Judiciary Award from the Washington Women Lawyers, a Distinguished Service Award from the Washington State Bar Association and the Golden Door Award from the Northwest Immigrant Rights Project. In this dynamic time, Annie is inspired to work with WDA staff, public defenders and other criminal justice leaders, and the communities we serve to bring about justice for all. D’Adre Cunningham, J,.D. is currently the Incarcerated Parents Project attorney at Washington Defender Association in Seattle, Washington. 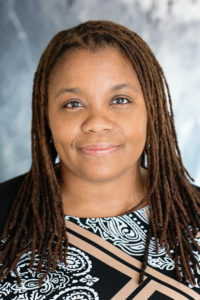 She has recently collaborated with the University of Washington Court Improvement Training Academy & the Washington State Office of Civil Legal Aid Children’s Representation Program to build a community of practice among attorneys representing legally free and other dependent children in Western Washington. She formerly served indigent clients for 15 years as a public defender at The Defender Association, now a division of the King County Department of Public Defense. She spent five of those years as an Attorney Supervisor in the Dependency Unit. Her other legal experience includes representing children and parents in child welfare proceedings; defending indigent adults in Seattle Municipal misdemeanor proceedings & in King County Superior Court felony proceedings; and advocating for systemic reforms at The Racial Disparity Project. D’Adre is an alumna of the University Of Washington School Of Law. She recently served in a volunteer capacity as a member of the Executive Committee of the WSBA Juvenile Law Section. 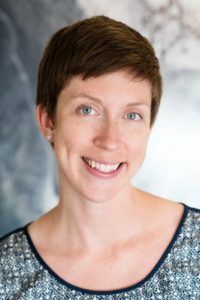 She participates in the King County Bar Association’s Juvenile Justice Taskforce and serves in a volunteer capacity as a Board member at Solid Ground. Jonathan Moore has worked with people in immigration proceedings since 1983. He worked as a paralegal at Proyecto Libertad, in Harlingen, Texas, with mostly detained Central-American asylum-seekers, from 1983 until 1990. From 1985-1987, he also worked for the Rio Grande Defense Committee, on legal defense of South Texas sanctuary workers. He worked in Seattle, at the Joint Legal Task Force – Hispanic Immigration Program and its successor, the Northwest Immigrant Rights Project, mainly on deportation defense, from 1990- 2005. Jonathan Moore was accredited by the Board of Immigration Appeals through NWIRP from 1993 until 2005. He currently works at the Washington Defender Association Immigration Project, supporting public defenders and defense lawyers on issues related to the immigration consequences of criminal convictions. He is a currently a Board of Immigration Appeals (BIA) accredited representative through the WDA. Scott joined WDA in January of 2014 and is proud to be a member of this important organization. In his role at WDA, Scott oversees the logistics of its training program, manages the office operations, and supports the needs of its members. Scott is also an actor, musician and all around performer who can be regularly seen in venues throughout Seattle. In his previous professional life, he has worked as a project manager and a staffing manager in the recruiting industry. A northwest native, Scott grew up in Tacoma, Washington and has been living in Seattle for the last 18 years, currently residing in the Capitol Hill neighborhood. Sara joined WDAIP in July 2017 as an Immigration Resource Attorney, supporting criminal defense attorneys in navigating the immigration consequences for indigent clients accused of crimes. Sara is especially passionate about challenging the systemic discrimination and abuses of power that immigrants, people of color, and people with criminal records face in the U.S. She spent four years as a detention staff attorney at the Northwest Immigrant Rights Project (NWIRP), where she represented immigrants facing deportation, conducted know-your-rights trainings for detained immigrants, and regularly presented at CLE trainings. Prior to joining NWIRP, Sara spent two years on the U.S.-Mexico border as the sole attorney at Casa de Proyecto Libertad, a community-based immigration legal services organization in Harlingen, Texas. She currently serves as president of the board of directors of the Migrant Center for Human Rights and previously served on the board of directors of Advocates for Immigrants in Detention Northwest. Sara earned her JD from Northeastern University School of Law in Boston, and is admitted to practice in Washington and New York. Sara grew up in rural Upstate New York, and stays connected to her farm roots by riding horses at a local barn.